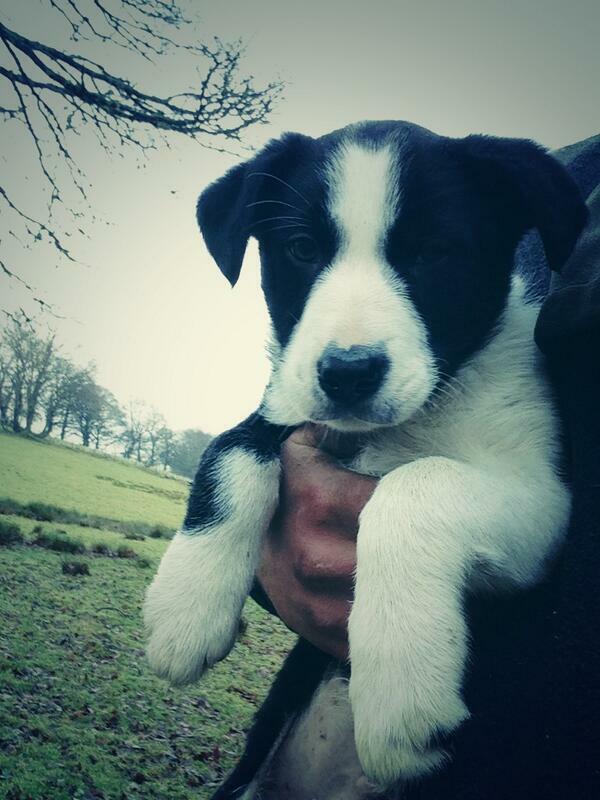 Tan is our favourite sheep dog by miles. 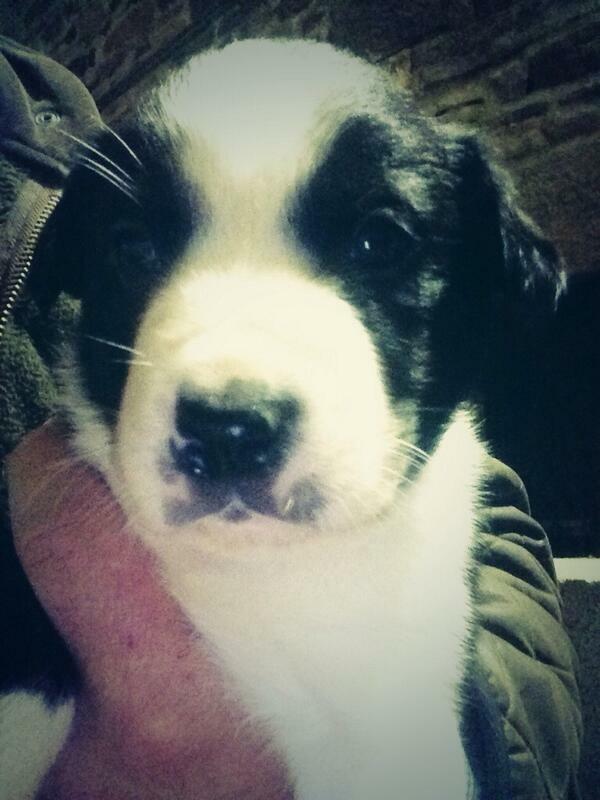 Meet Tan, the border collie, who's learning to be a sheep dog. Can't wait to get Tan and for him to be old enough to train. 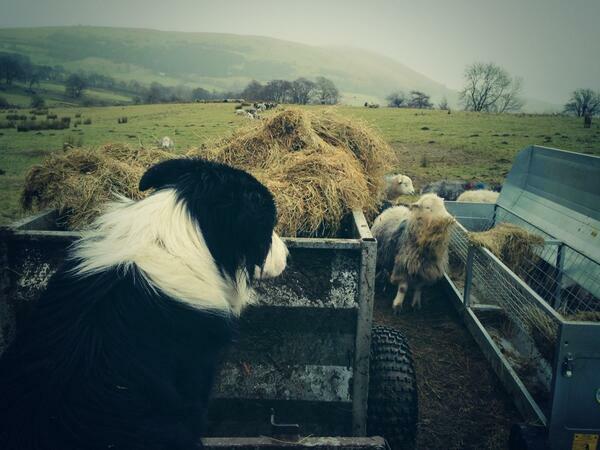 Tan works for @HerdyShepherd1, the tweeting sheep farmer in Cumbria whose beautiful landscapes, shots of his flock and snaps of his working dog Floss have been a ray of sunshine for the last few months. It gets pretty cold up there. But that doesn't daunt Tan - he's learning the ropes. 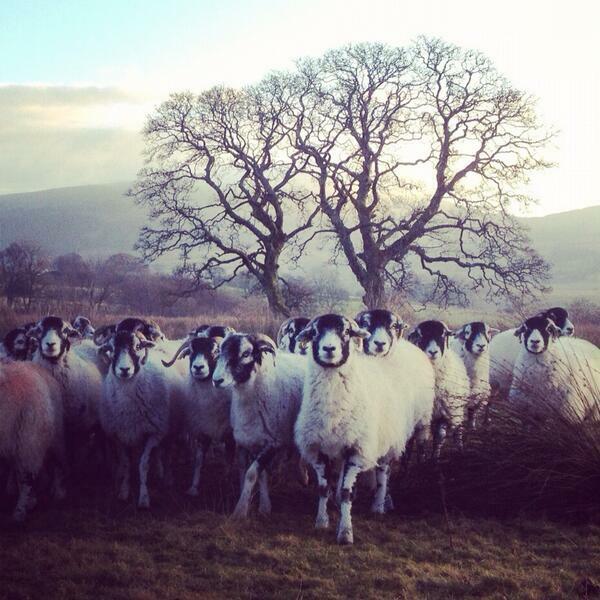 Watching the hungry sheep. 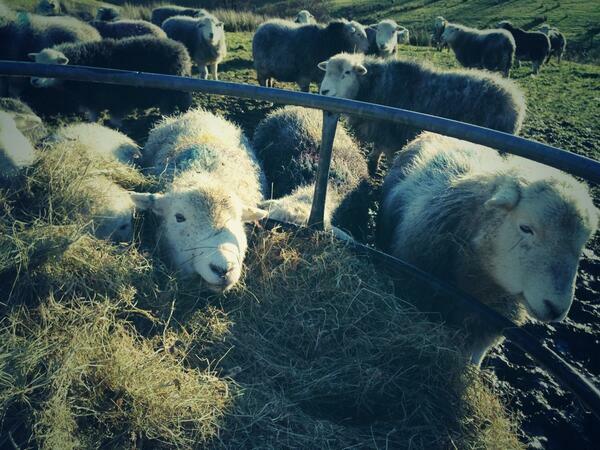 Tan and me not so impressed by ewe emptying hay rack faster than we can fill it. Best pic for ages. Tan after his cockerel chasing adventure. He learns fast and we keep him away from sheep. Tan after his cockerel chasing adventure. He learns fast and we keep him away from sheep. 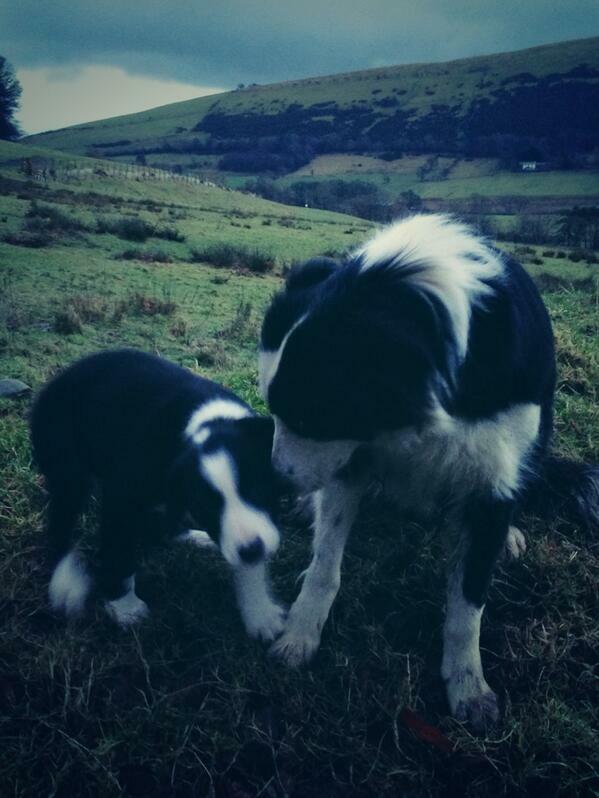 Tan's learning how to be the best sheep dog he can be. We teach the pup to know what's right and wrong by time of voice etc... They are desperate to please. At least Floss is around to give some advice. It's not his mum BTW, they may even mate one day. #Awkward. Another day. Another bunch of things to learn for Tan. Another bunch of things to learn for Tan. 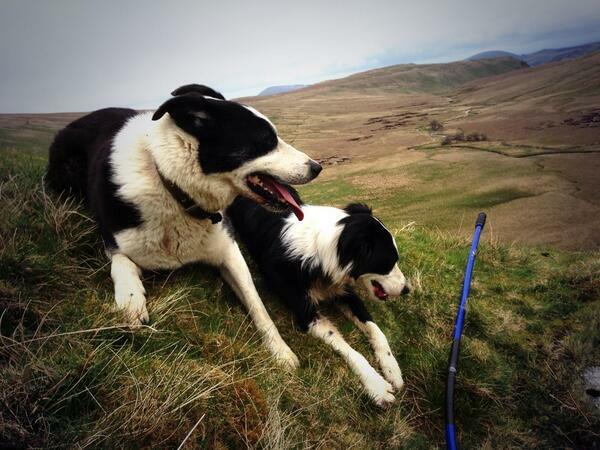 Sheepdogs have long workings lives - Herdy's last dog died aged 11, but they can start as early as six months. Mac was about 11 when he died. Work from about six months to when they tire out then retire. 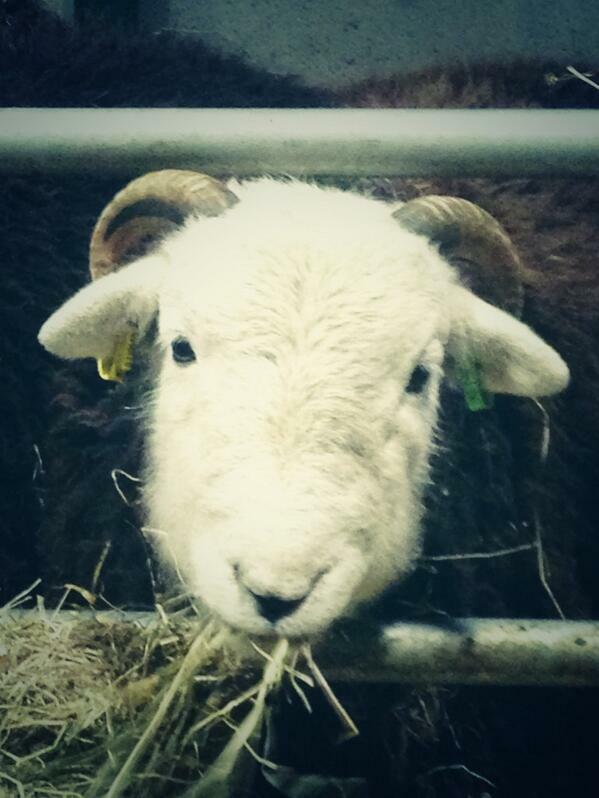 It's taking the sheep a while to get used to him. Sheep watching Tan exploring their barn with great interest. 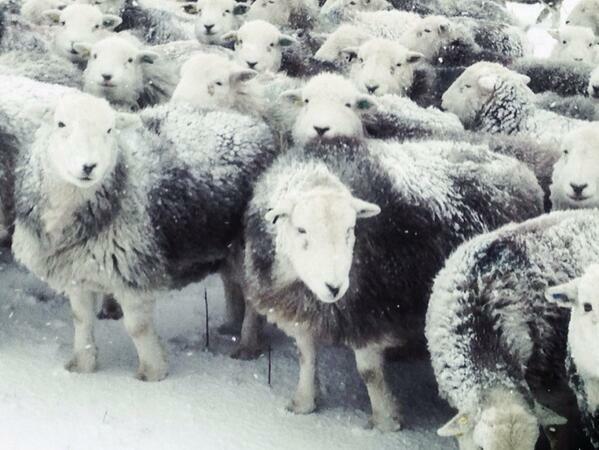 But those unruly sheep need sorting out. 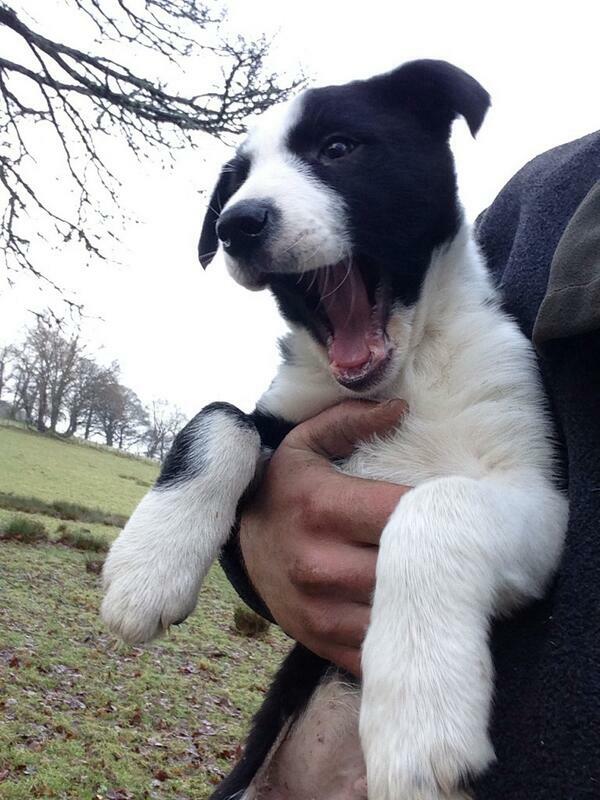 So good luck Tan, we think you'll be great.